Three bedroom, two bathroom 1,872 square foot ranch home in Walnut Grove, Westminster. This home has a beautifully landscaped yard including a large back patio and water feature! The main floor includes a bright living room with fireplace, eat in kitchen, three main floor bedrooms, and a newly updated bathroom. The finished basement comes complete with it's own fireplace, full bathroom, family room, laundry area and plenty of storage. It's the perfect home for the young family. 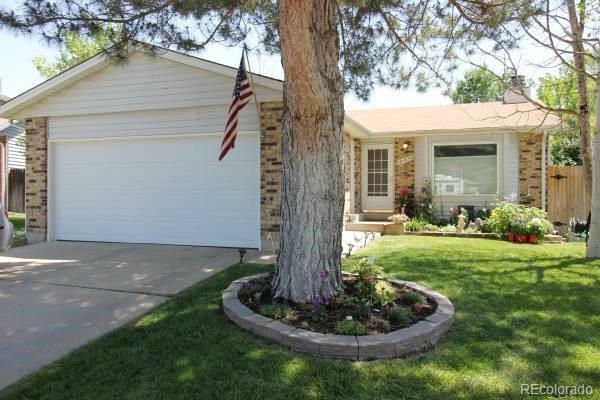 Close to shopping, Highway 36, Flatirons Mall,and Standley Lake High School. HOME IS RECEIVING A NEW ROOF THIS WEEK! Offered by Rex Homes Llc.